There is only one way to find out anything. Begin… I took the heavier aluminum in hand and imagined drawing a fluid black line on paper. 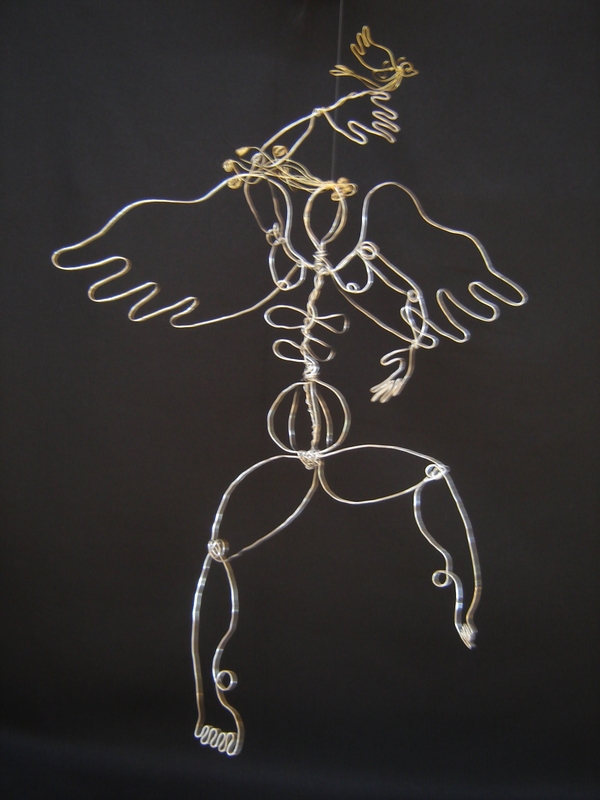 People have always said my wire sculptures remind them of my drawings. I began with the head – formed the smooth curving oval that flowed right into the torso’s gesture that flowed right into the long line of the supporting leg. I could have stopped there; I could already see my dancer “en arabesque”. I did pause and let the dancer rest – just as she was. 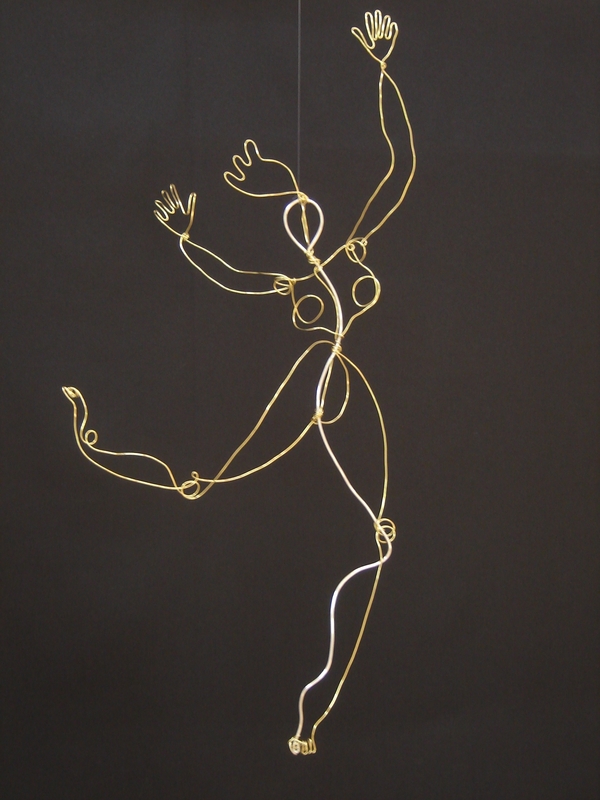 Yet, even as I saw the line that told me who she was, I also saw the complimentary gold of the thinner and contrasting wire as it defined and freed her gesture to move beyond itself. I admit to the struggle. The shining stuff was naturally resistant to my fingers’ attempts to force the wire to express what I saw. I must find a place between relaxing and letting the form become and determinedly assisting the wire to bend in uncharacteristic ways. Together we achieved a balancing act. This required much patience on my part, and appreciation for what was possible. Lovely to see the wire assume an arm-like gesture on its own and then apply myself to the more obvious shape of hand with fingers. This dancer’s creation was experimental from the beginning. I allowed myself the role of the explorer, which is – after all – the role I am most suited for. 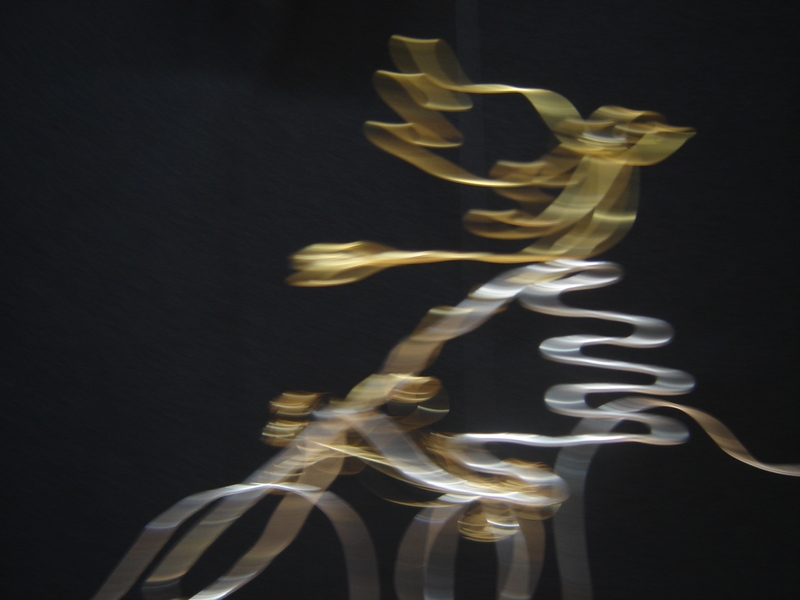 I am always surprised by the “message” each angel brings, but this one in particular – begun in an aura of resistence (mine and the wire’s) – truly startled me with the effortless flight she eventually took me on. By the time I formed the little bird to accompany her, I felt myself rising to hover blissfully in an aura of creative fulfillment. A moderate satisfaction is a fairly frequent reaction to a job well done, but rarely does the whole thing come together with such a sense of “this is what I am here for”. I am not as surprised when it happens through my dancing. For years I have practiced that sort of release of self that can lead to whole being soaring. Everything clicks and you are who you are. I am not speaking of perfection, certainly not of technical precision in the dance. It is something greater than that. One participates in something beyond one’s understanding. And here I am, trying to explain the inexplicable. As I hung this angel before the black drape to photograph her, I meant to record her existence. But as I stepped back – camera in hand – her delicate motion in response to the studio fans so entranced and invited me that the whole process felt like play, I touched her to still her and she almost laughed at my foolish attempt. She was meant to fly, and if her own airy flight is in doubt, I need only look to the small airborne creature above her head. I looked, and the creature was definitely in flight, no matter that she seemed attached to the angel’s hand. They were obviously one in their expressed reality, and as I was present and participating, we were three in one. It is of particular delight to me that this joyful motion can arise from my own near reclining position in my new chair. The chair is meant for comfort and rest, and to provide support for my upper torso to minimize acid reflux. Yet even as I surrender to my human condition, some part of me is realizing quite the opposite. Can it be possible that the spiritual flights of the soul are released in our most human moments? Perhaps we can only know this when we manage to combine our human need with the act of creating. Perhaps the soul soars free when we are least aware of the possibility. and the lights reveal her. before the first line of the song goes forth. By writing this poem I am freezing the moment. Because I will it, the first line was never delivered – the message never received. I choose to bask in the moment when all things are possible. Even the question is a mystery – the words never sung. I allow myself to sustain anticipation. I shall rest in the lull I have created for myself. If the performance never happened, it is still to come – or not. As I bask in the moment before the first words of the famous song go forth, I can believe that the flowers have not gone anywhere – that around me on that stage the flowers still bloom unpicked by the young girls who are wise enough not to go to young men who are brave enough never to have gone for soldiers who are too alive to go to the graveyards. 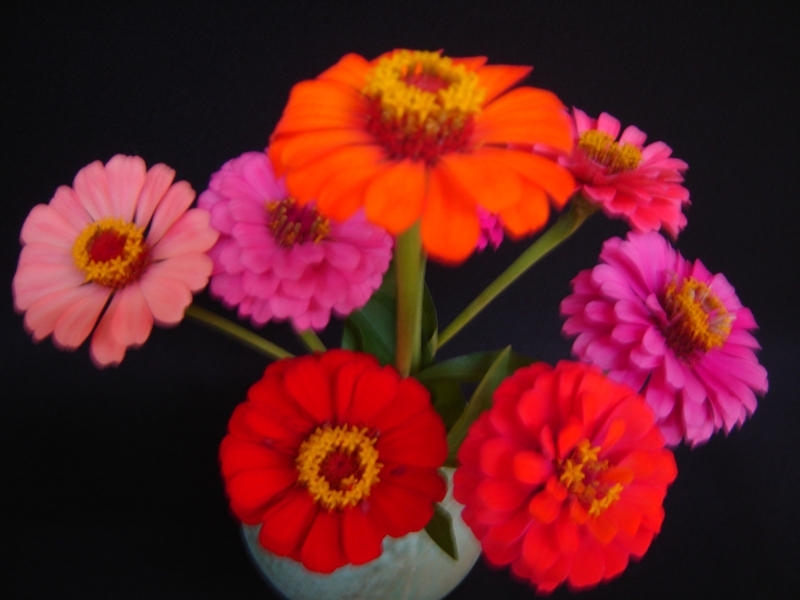 I can believe that the losses have not occured – need not be mourned. I can even believe that the song I eventually sing – when and if I choose to sing – will be quite another song. You are currently browsing the A Dance of Balance blog archives for July, 2011.